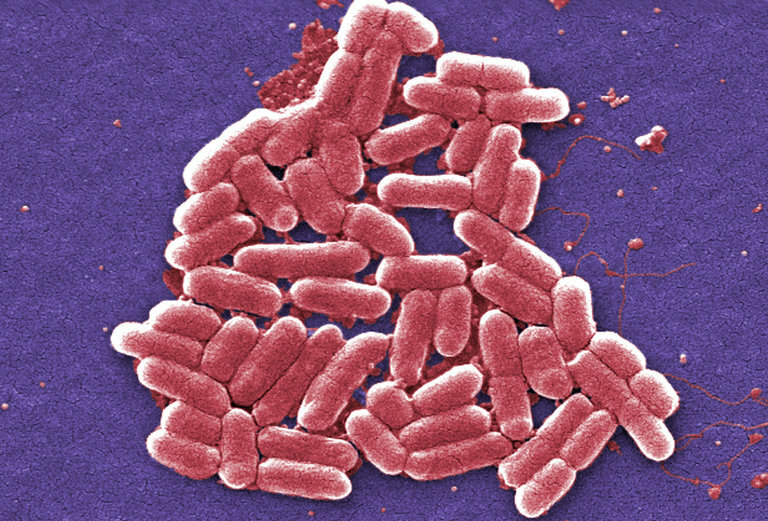 Infection Raises Specter of Superbugs Resistant to All Antibiotics? This one's for you, RE, and your game of Plague. American military researchers have identified the first patient in the United States to be infected with bacteria that are resistant to an antibiotic that was the last resort against drug-resistant germs. 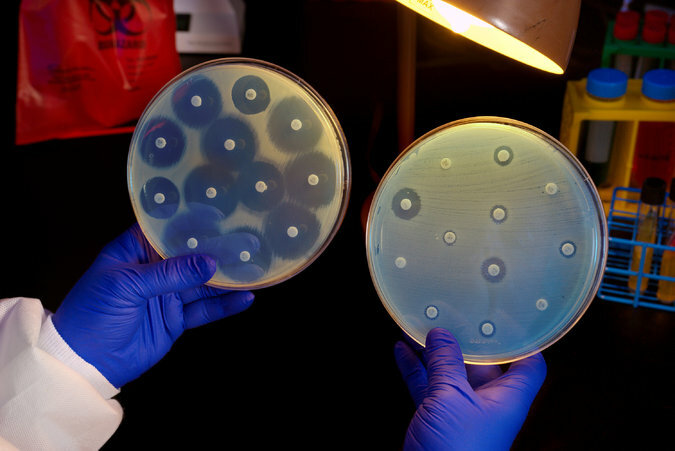 The patient is well now, but the case raises the specter of superbugs that could cause untreatable infections, because the bacteria can easily transmit their resistance to other germs that are already resistant to additional antibiotics. The resistance can spread because it arises from loose genetic material that bacteria typically share with one another. The bacteria are resistant to a drug called colistin, an old antibiotic that in the United States is held in reserve to treat especially dangerous infections that are resistant to a class of drugs called carbapenems. If carbapenem-resistant bacteria, called CRE, also pick up resistance to colistin, they will be unstoppable. The gene for resistance to colistin was first found in China, where the drug is used in pig and poultry farming. Researchers reported its discovery there in November. It has also been found in the intestine of one pig in the United States. CRE is still relatively rare, causing just 600 deaths a year, but by 2013, researchers had identified it in health care facilities in 44 states. Dr. Thomas R. Frieden, director of the Centers for Disease Control and Prevention, often calls it the “nightmare superbug” because it is resistant to all but one antibiotic — colistin. The colistin resistance in the United States came to light when a 49-year-old woman, who Dr. Bell said was “connected to the military,” was treated for a urinary infection at a military clinic in Pennsylvania. Because her urine culture had unusual results, the sample was sent to the Walter Reed National Military Medical Center, which identified the drug resistance. The bacteria, though resistant to colistin and some other antibiotics, were not resistant to carbapenems. Doctors there published a report on the case in a medical journal. Patrick McGann, a scientist at the Walter Reed Army Institute of Research and lead author of the paper, said researchers had only started analyzing samples a few weeks ago. They tested samples from six patients, and one of them was the woman’s. Dr. Bell said researchers did not know how the patient contracted the resistant bacteria. The microbes have been found in people in Asia and Europe, but the patient had not traveled during the past five months. It is possible that she contracted the bacteria from food, or from contact with someone else who was infected, Dr. Bell said. Public health workers will interview the woman and will probably test her family members and other close contacts for the bacteria, Dr. Bell said. Infectious disease doctors have long warned that overuse of antibiotics in people and in animals put human health at risk by reducing the power of the drugs, some of modern medicine’s most prized jewels. About two million Americans fall ill from antibiotic-resistant bacteria every year and at least 23,000 die from those infections. The Obama administration has elevated the issue, laying out a strategy for how to bring the problem under control. The CRE germs usually strike people receiving medical care in hospitals ornursing homes, including patients on breathing machines or dependent on catheters. Healthy people are rarely, if ever, affected. But the bugs attack broadly, and the infections they cause are not limited to people with severely compromised immune systems. CRE was believed to be the cause of infections from improperly cleaned medical scopes that led to the death of two people at Ronald Reagan U.C.L.A. Medical Center in California last year. But the gene is rare: The blog pointed out that federal health researchers had searched for the gene in 44,000 samples of salmonella and 9,000 samples of E. coli/shigella, taken from people and retail meat, and did not find it.